This time of year is huge in the national and international art world because of one of the largest art fairs in the world: Art Basel Miami. But if you can’t make it to Miami to find your masterpiece, we’re here to tell you where you can find an original locally at one of the many holiday markets happening this month! Wednesday, December 2 through Friday, December 4 – Tinselbox: A Holiday Pop-Up Shop. Luski Gallery at Foundation for the Carolinas, 220 N. Tryon St. There are no art vendors in this market, but it is being held in the amazing Luski Gallery at the Foundation for the Carolinas so you can enjoy looking at incredible art while you shop! Today! December 3rd – CPCC Clay Bodies Club Ceramics and Art Sale. Ride the Streetcar over to CPCC and pick up some amazing gifts by local art students! December 4th – December 5th – Clayworks Annual Holiday Sale. Handmade Pottery and Ceramic Sculptures. This is a not to be missed event. December 5th – Jingle Jangle Holiday Sale at Ciel Gallery. Head to South End this Saturday to find art and gifts by local artisans at any price point! December 5th – Merry Oaks Neighborhood Holiday Art Sale. Hosted in three local neighborhood homes on Saturday, you can find paintings and pottery and jewelry. Email us for more information! 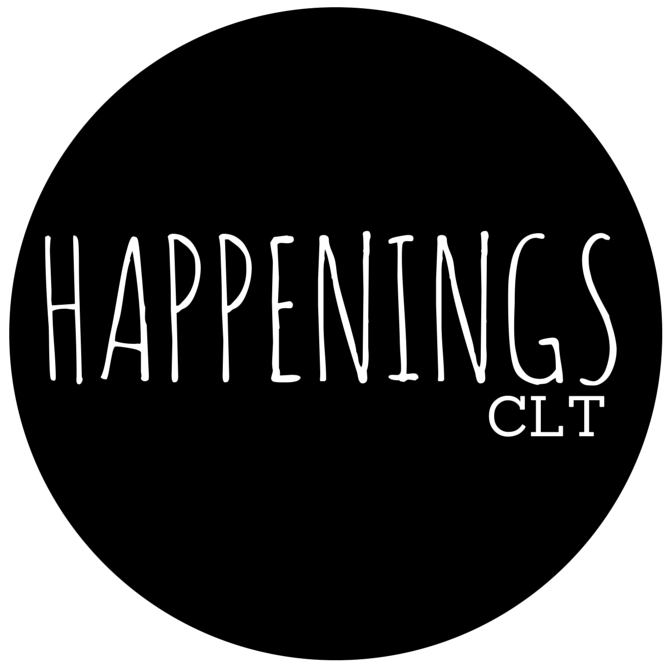 happeningsclt@gmail.com. December 6th – Finders Keepers Market at the Daily Press. This tiny gem of a market is full of artist designed jewelry and crafts. December 9th – Hops and Shops Holiday Market at Atherton Mill. Local Artisans and Vendors and FREE beer if you get there early! December 11th – 20th – VTGCLT POP at the Goodyear Building. Vintage Charlotte mastermind, Amy Herman is back with 85 vendors curated in a local pop up shop. Check out the link for all the special events as well! December 12th – Pink Social Girl Tribe Holiday Market at Sugar Creek Brewing. This market in particular supports women owned businesses with over 60 vendors! The best gifts this season are unique, handmade, and thoughtful. Take sometime to select art as gifts for friends and family or even for yourself!